Come autumn, film connoisseurs and movie lovers gear up for the much-awaited Mumbai Film Festival – a grand and esteemed event in India that showcases exceptional films from across the globe. Stories of love, hatred, conspiracy, confession and redemption evoke countless emotions with everlasting impressions. 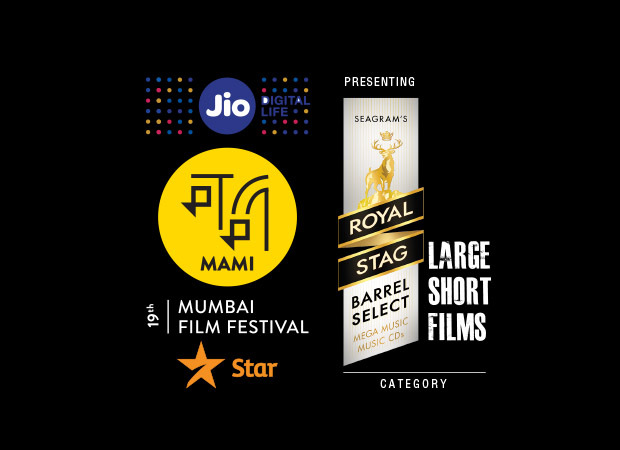 In its endeavour to bring such powerful stories with resonating passions, Royal Stag Barrel Select Large Short Films is associating with Jio MAMI for the second consecutive year. Royal Stag Barrel Select Large Short Films will premier four powerful short films by acclaimed Bollywood directors at the festival this year. In addition to the screening of these creative pieces of art, the master directors will also share stories of their journey in pursuit of perfection. The four much-talked movies include ‘Anukul’ directed by Sujoy Ghosh (with Saurabh Shukla and Parambratta Chatterjee), an animated film ‘Death of a Father’ by Chaitanya Tamhane, ‘Chhuri’ by Mansi Nirmal Jain (with Tisca Chopra and Anurag Kashyap) and ‘Juice’ by Neeraj Ghaywan (with Shefali Shah). Based on Saytajit Ray’s short story, ‘Anukul’ depicts the relation between man and robot that goes beyond the parameters of simple physics and mechanics, whereas ‘Death of a Father’ talks about how a protagonist copes with rituals and customs which take precedence over a personal loss. ‘Chhuri’ has an element of twist and surprise when an unassuming housewife confronts her philandering husband’s young mistress whereas ‘Juice’ shows an apparent irony of our patriarchal society that has so comfortably made room in our lifestyle. In short, the shows will be a complete delight and refreshing. But that’s not all. Bringing forth the best and brightest in new independent filmmaking, Royal Stag Barrel Select Large Short Films along with its partner associate, Jio MAMI with Star, conducted a contest for aspiring filmmakers across the country. For the young talents who have adorned the director’s hat, there couldn’t be a better opportunity than this. The contest was judged by an eminent jury — comprising producer and actress, Srishti Behl Arya, actor Rajkummar Rao and film director and screenwriter Nitya Mehra. Ten best short films will be screened at the festival and one amongst them, the jury’s choice, will get an opportunity to intern with Vidhu Vinod Chopra. Going by what Michaelangelo said, “The true work of art is but a shadow of divine perfection,” the Royal Stag Barrel Select Large Short Films is providing an opportunity to aspiring filmmakers to reach their level of perfection by learning, maturing and sharing their stories – defined by their strength and uniqueness. Cinema reflects the happenings of the world and fills the empty spaces in our lives with thoughtfulness and gravity. To create this magic of celluloid, a short film featuring renowned actor and director, Tinu Anand has been conceptualized by River, an independent creative agency and produced by Early Man production house. The power of a compelling film that leaves a lasting imprint on an impressionable mind is hard to miss. A hub of Indian short films, Royal Stag Barrel Select Large Short Films promises exemplary entertainment to its audience. Movies and experience for a lifetime. Short Films showcased in the platform have won many accolades and awards in both India and at International Film festivals. Films from LSF have also made it big at Filmfare with three of its films made it to the final shortlist. Chutney a LSF release has won 2 Filmfare awards. Dear Varun Dhawan, please avoid doing films with other Male stars!